Dinesha is Sri Lanka Programmes Manager for Generations For Peace. 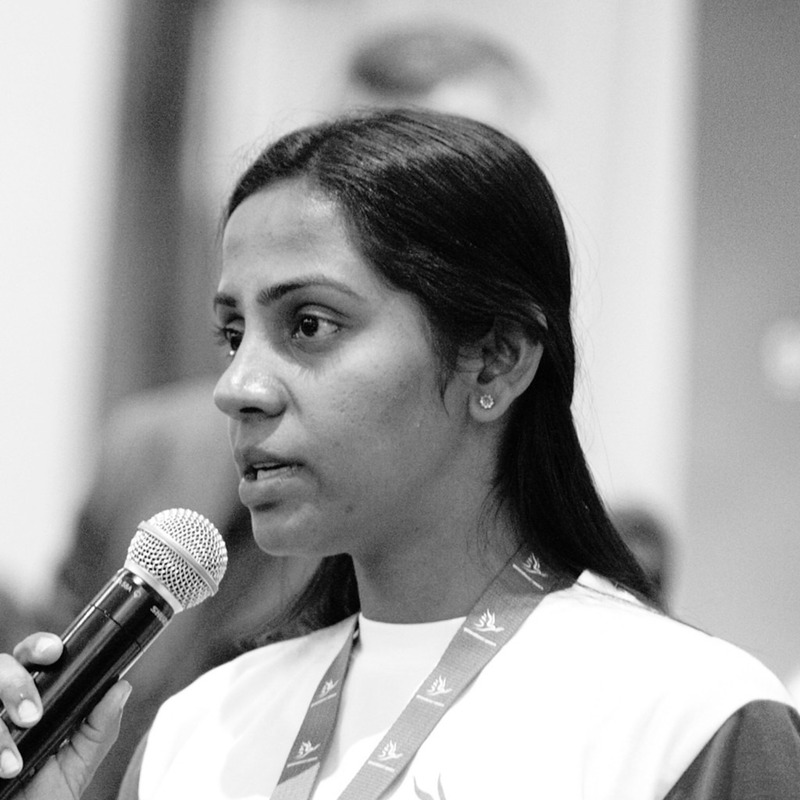 Dinesha is from Sri Lanka and has 8 years professional experience in community development and field level project management, with UNHCR, UNDP (TRP) and international non-governmental organisations including ICRC, CARE and WUSC in field level overall project management. Dinesha joined Generations For Peace in February 2013. From her previous roles in different organisations, working as a Senior Community services assistant, Field Programme Assistant, Programme Officer and a Trainer, she has gained excellent knowledge and experience in programme design, planning, implementation, monitoring and evaluation, and development of partnerships and stakeholder relations, with a focus on sustainable livelihoods, social cohesion, housing, micro-finance and micro-enterprise development projects. As well as her programme management experience, Dinesha brings experience in administration, finance, and human resources from her roles with ICRC and UNHCR. Dinesha is committed to social work and her ambition is to make positive change through sustainable community development.